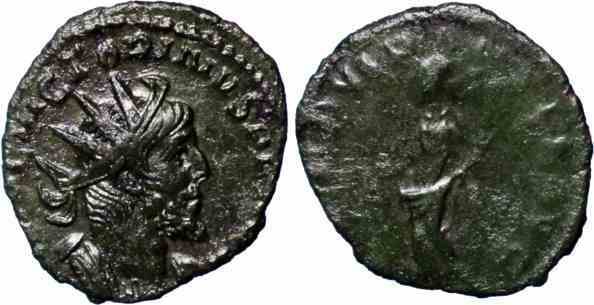 Bronze antoninianus, 18mm, 2.14gm, issued AD 270/271. Mainz? mint. Rev: PROVIDENTIA AVG, Providentia standing holding cornucopiae and wand. References: Sear 11178, RIC 61.